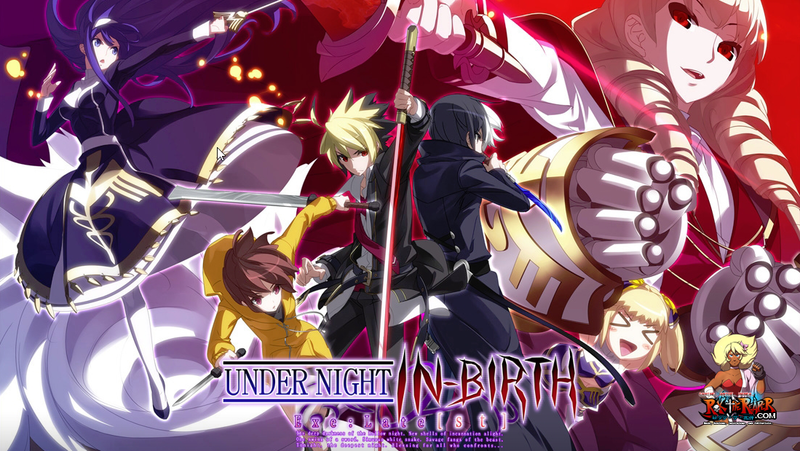 I was familiar with the Under Night In-Birth series because I was a big fan of the Melty Blood series. In a time where Arc System Works created BlazBlue and everyone thought that was going to be the spiritual successor to the Guilty Gear series, everyone wondered what Soft Circle French-Bread was going to develop. When news of them creating a new fighting game came about, myself and a friend of mine was extremely excited and I even posted an article about the game before it was even released back in 2012. Despite me being excited about the game, I never did give it a chance because I did not own a Playstation 3 and did not have a PC capable of running it. Flash forward and I also did not own it on the Playstation 4 (which is my primary gaming console), I was way too busy focused on BlazBlue: Cross Tag Battle and Dragon Ball FighterZ for me to pick up another fighting game that seemed extremely complicated with a dedicated fanbase that had been playing it since the game’s inception. However, the PSN Store held a Holiday Sale were games were up to 90% off, and I saw that Under NIght In-Birth Exe:Late[ST] was only $20 where it was originally $50, so I decided that I might as well go ahead and pick it up since I had been tearing my hair out wondering if I should get it or not for a couple of weeks at that point from seeing the price reduction. After playing the game for about the length of 2 weeks, I can tell you as as someone who loves fighting games that I am not disappointed. 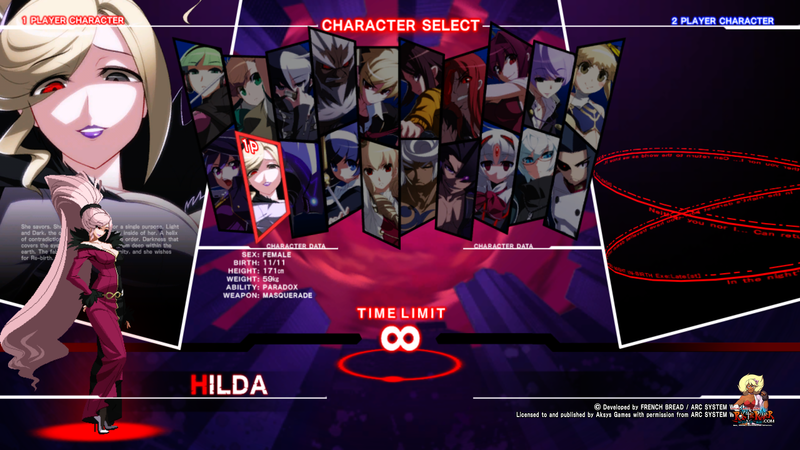 Something that intimidated me about Under Night In-Birth was the GRD and Vorpal systems, they look incredibly complicated when you do not know what is going on and the momentary pauses caused by Chain Shift which empties the GRD meter into the EXS meter. This combined with GRD Breaks, Veil Offs, and a myriad of other defensive tools like Shielding makes a newcomer afraid of how much there might be to learn within the game. I was fortunate that this game’s tutorial system is on pair with the Guilty Gear Xrd series and Dead or Alive 5‘s. They really teach you everything you need to know, starting from baby steps like moving forwards and backwards to more advanced techniques like Option-Selecting. Those who really want to learn the game have everything available from the beginning to help them learn more about the game so they can enter the community with a better understanding (I feel most fighting games need to do this). Combo challenges are also very practical in my opinion, they teach you basic routes that the character has and (while not always optimal), they give you a good idea of what the character can do and is more beneficial to the player than others fighters I have seen. The extras that the game include are all well done and makes the game feel complete; more color palettes, customizing name plates and taglines, Story Mode, Archive Mode, etc. Also, small things that are aesthetically brilliant like the backgrounds, the character sprites, and the loading screen helps to immerse yourself into the feeling. While many can argue that good game play is all that is necessary, we also care about the smaller details as shown by the reception of Marvel vs Capcom: Infinite where the gameplay was good but everything else was lackluster and lazily done. Also, this is probably the best music I have seen in a single fighting game, even more so than the love I typically give to the Guilty Gear series and its well thought of rock sound often done by Daisuke Ishiwatari. As far as the online goes, I have found that even in 1 bar conditions it is not as bad as games like Soul Calibur VI or Dragon Ball FighterZ were; I do not know if this is because of the netcode they are using or maybe sprites are just easier to manage than 3D models. Whatever the case, I feel like I do have some lag in higher connections, but 5-6 frames of lag in UNIST is nothing compared to the amount of input delay and input eating antics done by other fighters with similar frames of lag in poor connection conditions. To be fair, I kept saying to myself “Why did I not get into this game sooner? 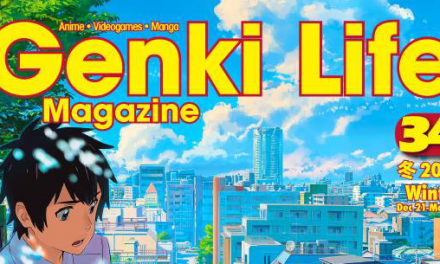 !” the more I played and the more I scrolled through certain things. While the game online is relatively poor in terms of finding random Player and Ranked Matches, you can find a lot more here in North America in the late evening times. At the same time, running into people who could beat you pretty easily and then giving them a challenge or beating them is always something which makes you appreciative of your growth and is a direct reflection of the hard work you put into the game. So safe to say I am loving this game so far and look forward to its future since I heard (not confirmed) from the same person that gave me the community’s Discord that DLC is planned for later this year. First off, I really dig Hilda’s aesthetic, as that is the main thing that first made me take notice of this character when the game was announced. Within the vast majority of fighters I tend to main female characters (Kolin in Street Fighter V; Makoto Nanaya in BlazBlue: Central Fiction; Seong Mi-Na in Soul Calibur VI, etc. ), so having one in Under Night In-Birth that fit my preferences was a fantastic find. I like the alternating white/black color scheme she has, and the big selling point is her heterochromia iridum (two different colored eyes), something I gained an affinity for from really liking the Laocorn character introduced in Fatal Fury: The Motion Picture. 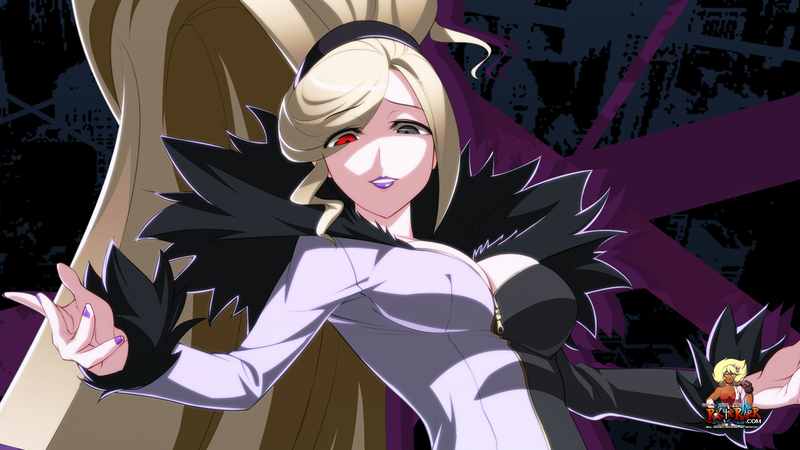 Moreover, I really enjoy Hilda’s personality; she is extremely intimidating because of the power she possesses and is cocky because of the strength that she wields. Something else I really like is that she is known as “Paradox”, which means “A seemingly absurd or self-contradictory statement or proposition that when investigated or explained may prove to be well founded or true”…not to mention she has the notorious “Ojou-sama” laugh (O~HO HO HO HO HO!!!). Not to mention she was born November 11th and I was born November 2nd, so she’s also a Scorpio (which explains why I love her personality so much!). The biggest issue I had when going to Hilda is that she is not the usual style of character I play; she is keepaway while I am someone who normally prefers to rush down someone to the point they have no time to breath, think, or mount an offense of their own. Before Hilda I tried out a few characters that were more my archetype; Nanase, Wagner, and Seth. However, I found that I just did not like them enough as actual characters to want to use them; I much prefer Hilda as a person compared to the rest of them. So this means that I was going to have to play someone who’s main ability were keepaway and neutral, which were things I definitely did not know how to do very well since my focus had always been learning to get around that thing (because my main training partner tends to play mid-range to long-range characters). This was going to prove a new challenge for me. Learning her combos was initially frustrating; I use a controller and a lot of her combos require you to hold down a button and release it later on in the combo to summon one of her Lynchpins as the ender for a setup. This took some getting use to, and I also had to swap around a few of the buttons to make it work, but Hilda is definitely working out for me more now after making these changes. Something I am also having to worry about is optimization; this character cannot afford anyone to get in and that means taking as much as I can per combo as possible. I have gotten down a few good routes, but I am needing to break my old habits of going into low damage (but guaranteed) combos whenever I land a hit from panicking on what to do next. Also, her Vorpal state allows me to gain back 50 meter from using EX moves, so I definitely need to take more advantage of this and stop keeping max meter so much. Having pretty weak defense, I found I needed to keep my opponents weary of all the options I had while keeping them within my optimal striking range. Those who had no idea how to fight Hilda or were weary of being hit from anywhere on the screen turned out to be relatively easy prey for me, but those who had good rushdown characters and could go crazy with high/low mix-ups, empty jumps, good okizeme, and insane pressure could mess me up once they scored a hit that leads to a knockdown situation. I have found that the characters I have an easiest time with seem to be Chaos, Enkidu, and Akatsuki. The characters I have found the hardest to consistently deal with is Byakuya, Seth, and Eltnum. Right now I am just focused on learning the character and doing my best to become the best I can be. I have found that the Discord I was given by a fellow UNIST (Short for Under Night In-Birth Exe:Late[ST]) player during a stream where I was doing Nanase combo challenges has been very helpful in learning my character better. I want to be one of the best Hilda players on PSN, and I think I have started relatively strong after playing the game less than a month at this point. Playstation 4, The Next Gen Console Choice for Fighting Game Lovers?